When Fuller House was released on Netflix last year, people were thrilled — especially with the show’s star, who is one of the most recognizable among child actresses. Now she’s all grown up, but her money appears to have been invested well, so that’s why we’re about to get into Jodie Sweetin’s net worth. Her next big acting job was where most people know her from: Full House. 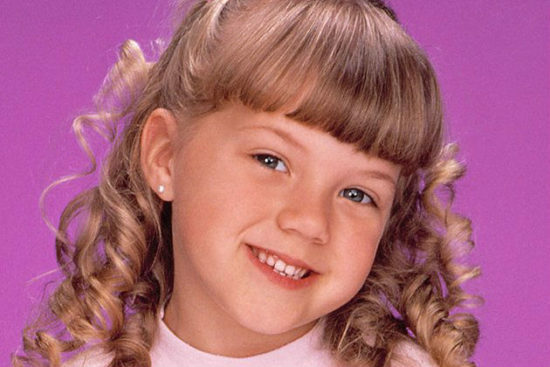 Sweetin was cast as Stephanie Tanner and continued to play the role until 1995 when the show ended. After the show ended Sweetin graduated high school and went on to Chapman University (something many child stars don’t do). After “Full House” ended Sweetin didn’t do too much acting. In fact, the star fell into substance abuse issues almost immediately after the show ended. She told people that she felt bored after the show ended. While she’s appeared here and there on television shows, Sweetin hasn’t been in the spotlight much. Until 2015, that is. In 2015 it was announced that Sweetin would appear on Netflix’s reboot “Fuller House” as Stephanie Tanner. Once that news was released Sweetin also landed a spot on ABC’s “Dancing with the Stars.” So, where is she now and what is Jodie Sweetin’s net worth? Although she’s not been in the spotlight a ton lately, The Richest estimates Jodie Sweetin’s net worth to be about $4 million. Unlike childhood actor Miley Cyrus, Sweetin didn’t really continue to be in the spotlight into adulthood. Sweetin’s successful career did come at a cost, though. Sweetin struggled with addiction for years, but she’s been able to turn it around and help others by speaking out about what it’s like to be a childhood actor as well as drug addiction. The 35-year-old actress aims to make a difference every day and plans to continue doing so for years to come. While Sweetin doesn’t have any new movies or television shows in the works right now, don’t be surprised if you continue seeing her pop up from time to time.